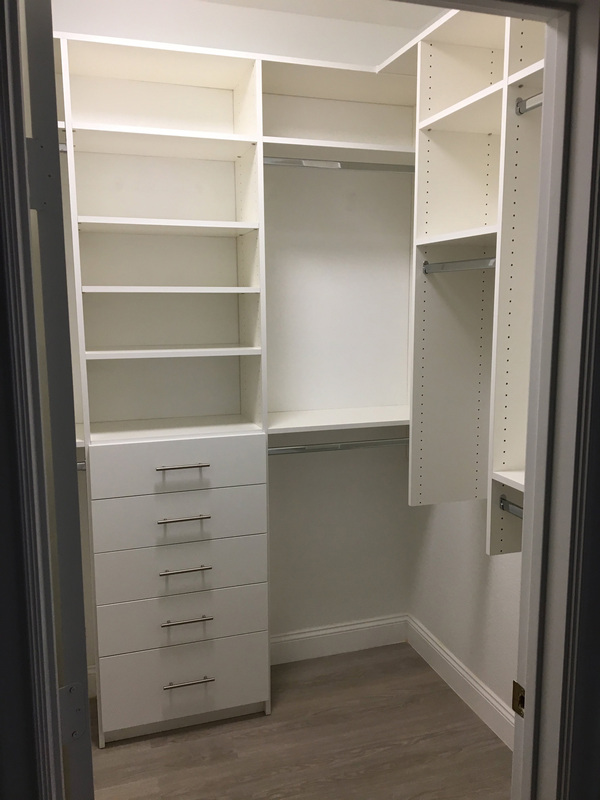 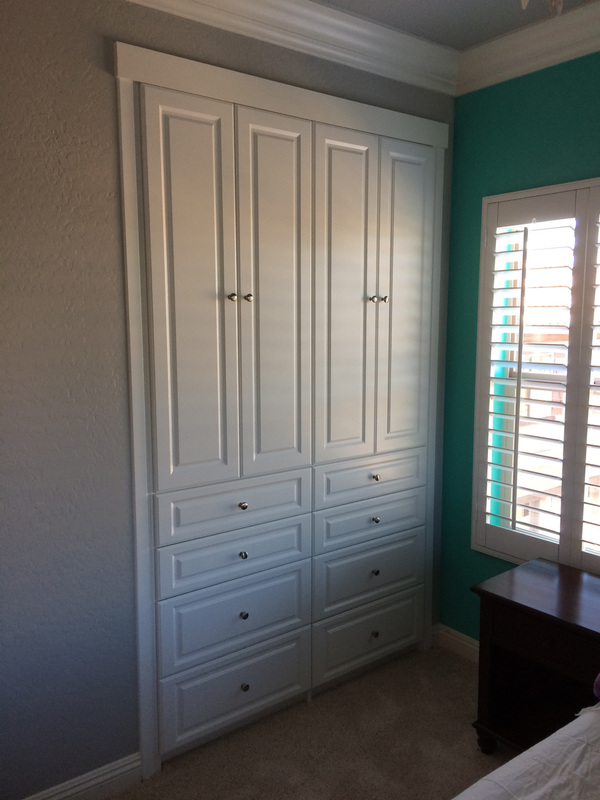 Las Vegas Reach-In Closets | Custom Closet Systems, Inc.
Find and coordinate your wardrobe at a glance. 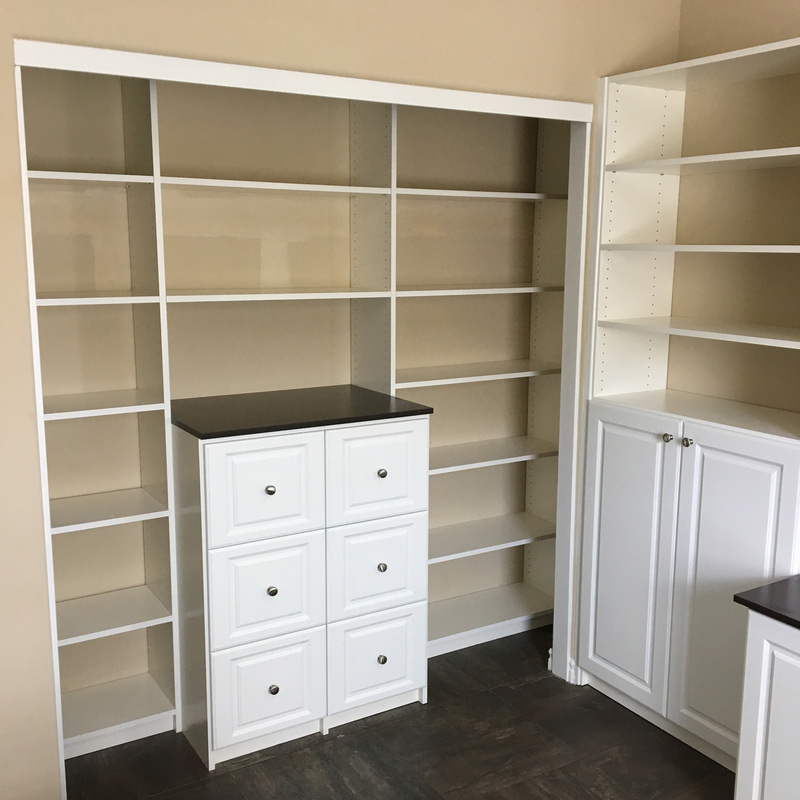 Hanging clothes, shoes, and bags are ready to be mixed and matched, while the built-in dresser and cabinet keeps casual attire or accessories organized. 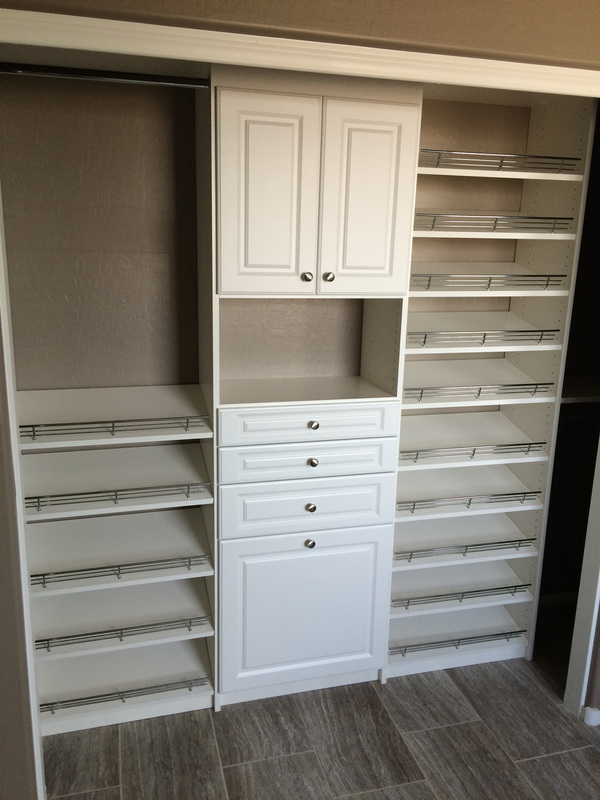 Modern storage needs are interpreted with traditional style in this reach-in closet. 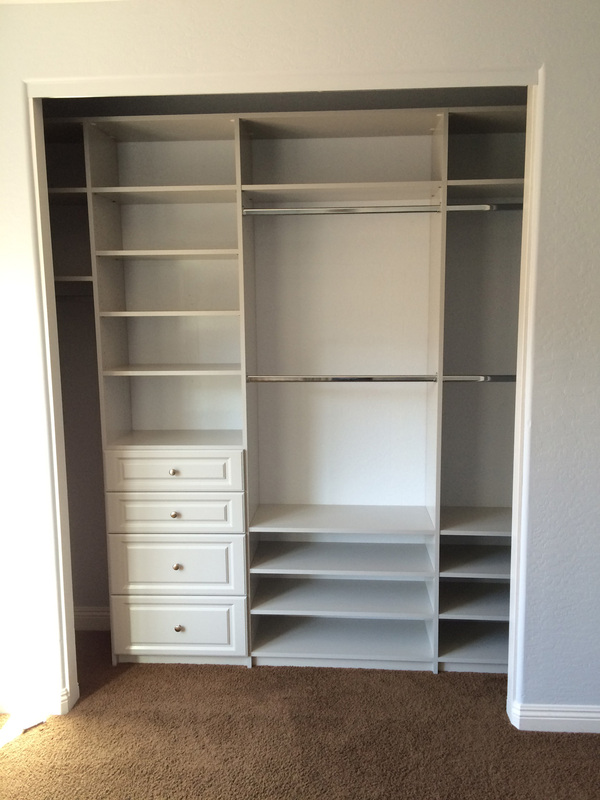 Thoughtful details like pivoting pullout racks bring belts and ties within reach.